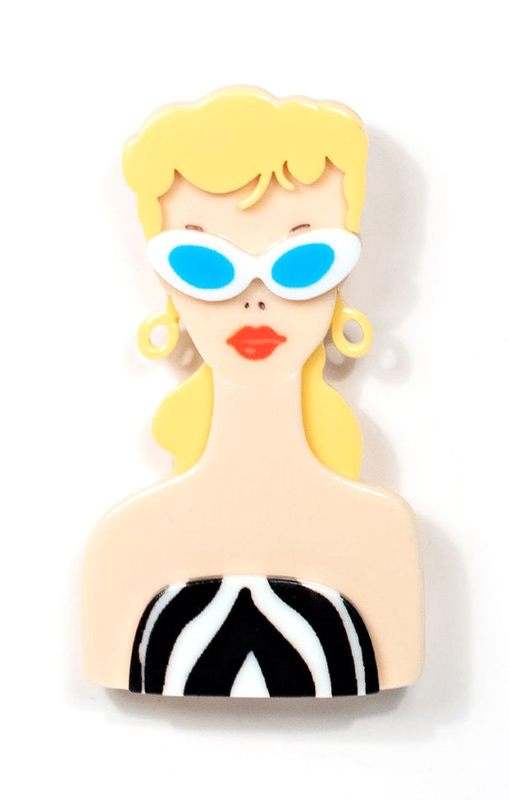 A Barbie doll brooch by Unique Vintage! 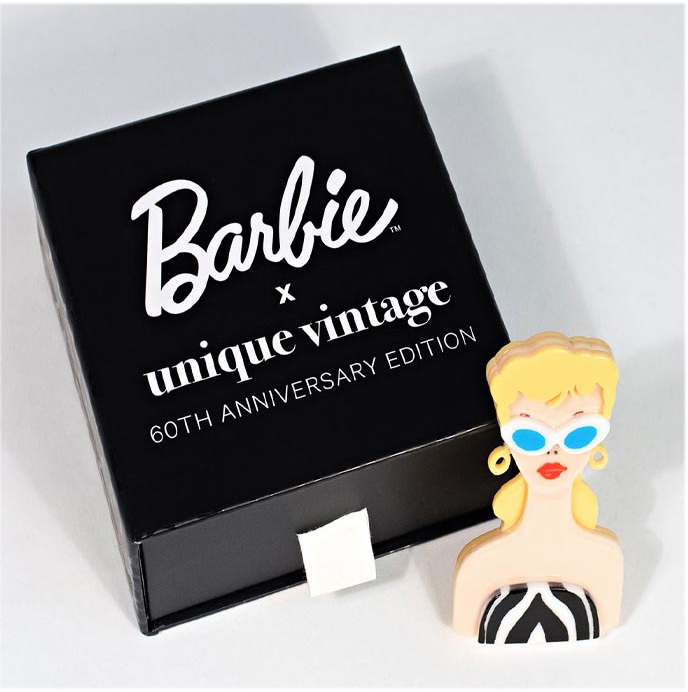 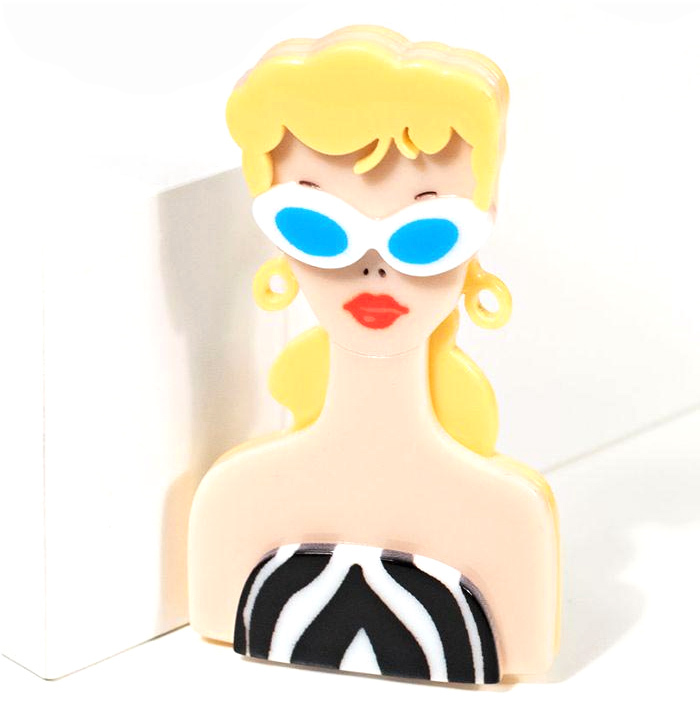 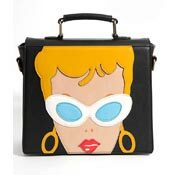 This 60th anniversary edition brooch features Barbie in her black and white swimsuit, sunglasses and hoop earrings. 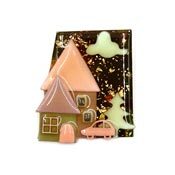 Created with layered resin.